2018 was a year in which the market proved itself to be markedly resilient, with transaction volume coming in at £2.75bn – 11% over the 10-year average – despite the challenging political and economic macro environment. It is no surprise given many investors cautious mindset that 2018 transaction volumes were down on the strong levels achieved in 2016 (-47%) and 2017 (-18%). 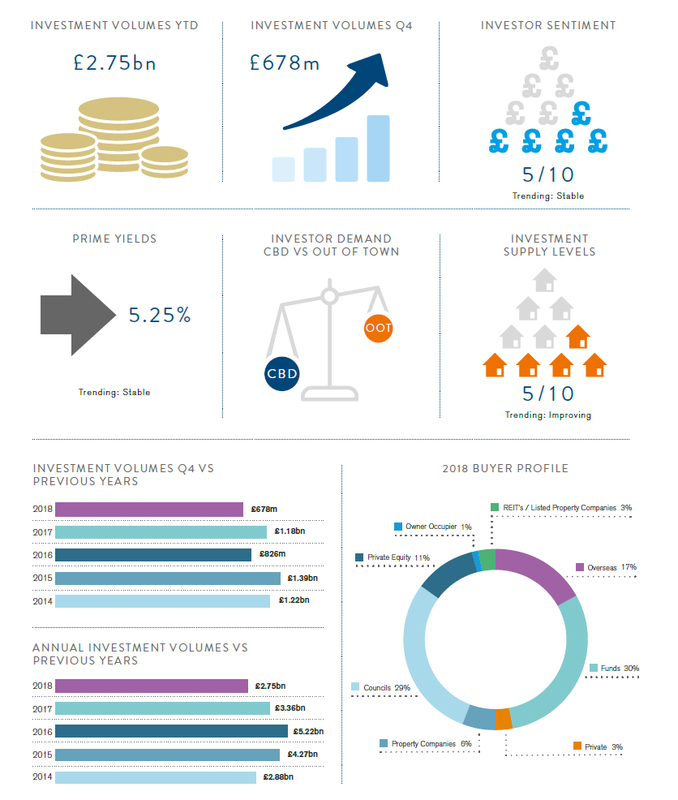 Local Authorities were a key contributor throughout the year to the market’s resilience, responsible for £789m of transaction volumes, reflecting 29% of the total market. Typically, they are now looking beyond single-let, long income opportunities and are now acquiring multi-let and shorter-income opportunities requiring greater ongoing asset management. 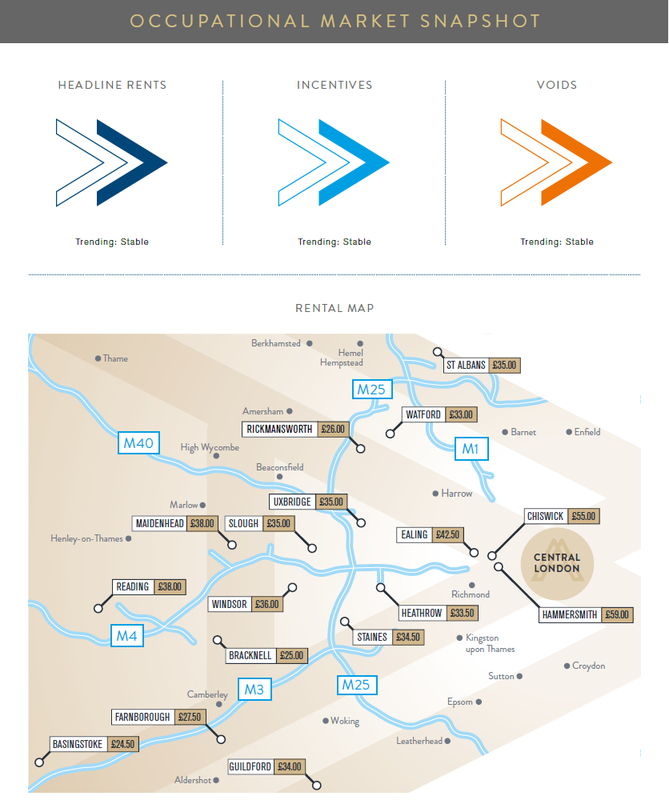 The Institutional Funds were also active buyers, typically for ‘ prime’ product such as Aviva’s acquisition of Aurora in Ealing, Orchard Street’s acquisition of The Brinell Building in Brighton and M&G ’s acquisition of St. George’s House East in Wimbledon, all of which took place during Q4 2018. Long income or ‘ real return’ opportunities are also a key focus for the majority of Institutional Funds. Private Equity Managers were active in reviewing a number of investment opportunities and have considerable ‘dry powder’ to deploy , but have found either Vendor’s pricing aspirations to be too steep, or that they have been out competed by buyers with a lower cost of capital. 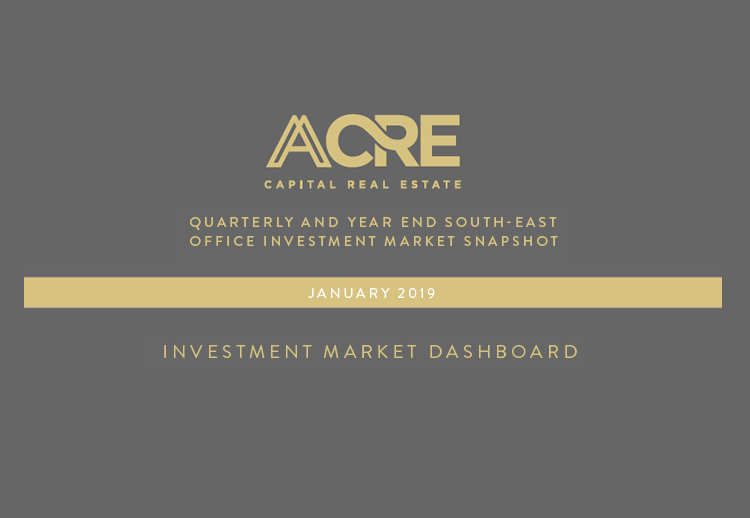 Approximately £587m of south east office investment stock was openly brought to the market but failed to sell during 2018 and we expect a number of these assets to be picked up at highly attractive pricing levels over the coming months. However, the UK political situation and global economic headwinds will continue to dominate investors mindsets, resulting in subdued investment activity during H1’19. The occupational markets are performing well with occupiers willing to invest in acquiring new space. We expect this trend to continue, which should keep investors attention focused on the sector .